Be ready for your next celebration with today's cute gift idea! 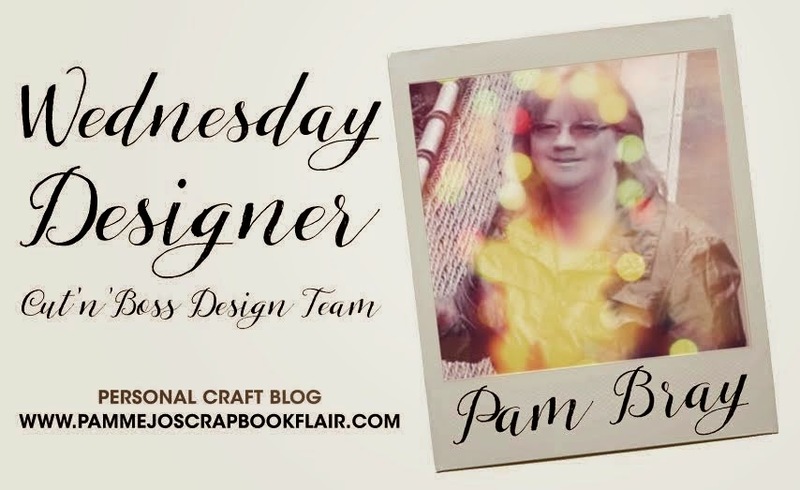 See Pam's adorable project below! Hi!!! Pam here today sharing with you my Tiny Tots Congratulations and Gift Card Ensemble. Begin by first cutting a piece of Bella Blvd Tiny Tots pattern paper using Sizzix Box with Flap Die and Craftwell Cut N Boss. Once favor box is cut, form and decorate with Bella Blvd Paper Pieces. Cut two pieces of Bella Blvd Tiny Tots pattern paper to form a pocket to place your gift card in but small enough to fit in the prepared and decorated favor box. Add a gingham tie ribbon to the gift card pocket and also around the flap of the gift box, tie in a bow. Emboss green Core'dination paper using Craftwell Twill Herringbone Embossing Folder. Here is a closer look at the Twill Herringbone embossed paper. Don't you love how deep that the Cut N Boss embosses your papers. Die cut 5 of the Mini Delicate Doilies with the Cut N Boss and Bella Blvd Tiny Tots Paper. Place green Twill Herringbone embossed paper to top of card front, add doily die cuts. Add a Bella Blvd Tiny Tots pattern paper flag. Stamp "Congratulations" to top of Owl Journal Card, place on top of prepared card. Add black gemstone to the eyes of the owl. I hope you enjoyed my Tiny Tots "Congratulations and Gift Card Ensemble" and try making some fun gift card sets. Be sure to let Pam know if you enjoyed her project!